7 Comments	This post may contain affiliate links. 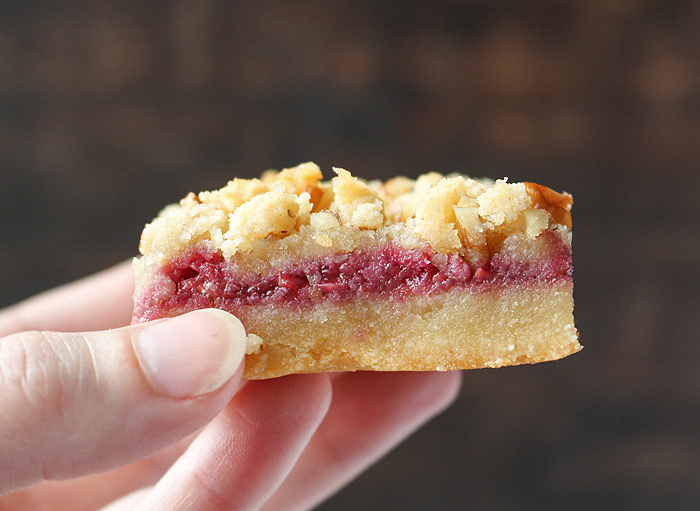 These Paleo Raspberry Crumb Bars are so easy to make and have 3 layers of deliciousness! 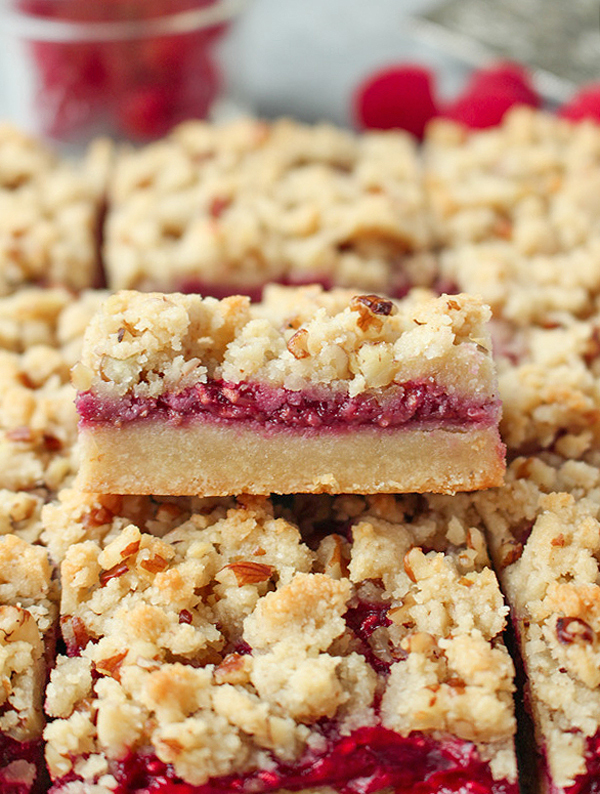 These fruity bars are gluten free, dairy free, and vegan! I have to be honest. I am ready for cool weather and comfort food. I’m ready for fall squash, pumpkins, apples, and all the warm spices. But I’m sharing another summer recipe because as much as I want all that, it is still the middle of August and berries are still in season. 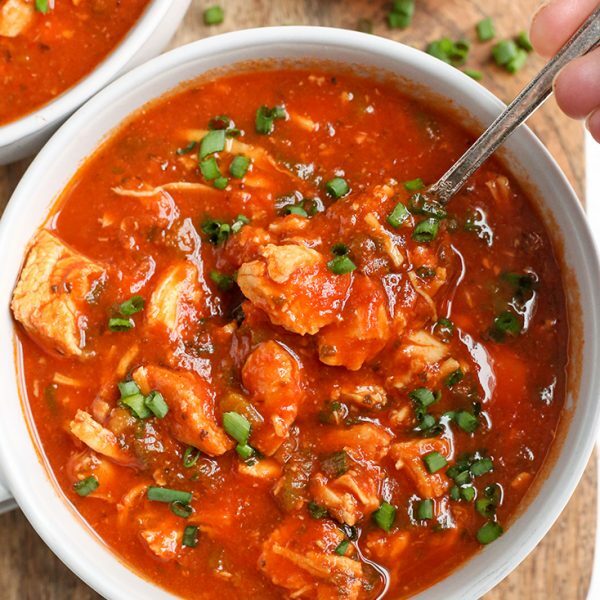 I am actually so glad I made these because they are incredibly delicious and super easy! The base is the same as the base of my Paleo Twix Bars. It’s super easy to make, sweetened just right, and will melt in your mouth. 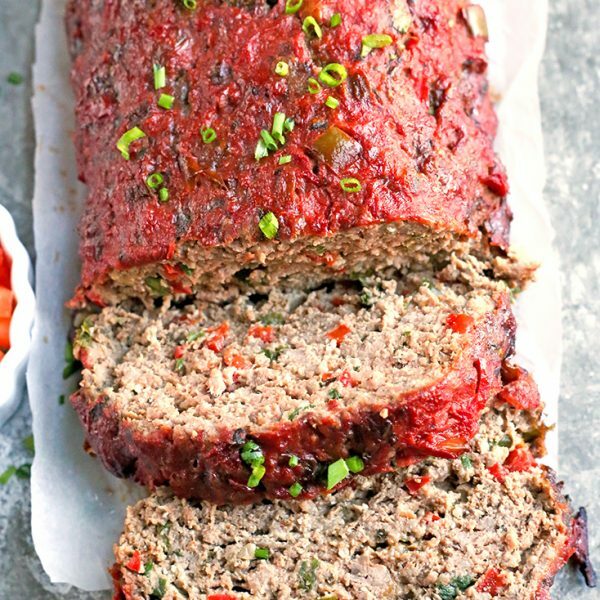 The filling is sweet, thick and takes literally 2 minutes to make. So easy! Then the topping is some of the leftover base with chopped pecans added to it. 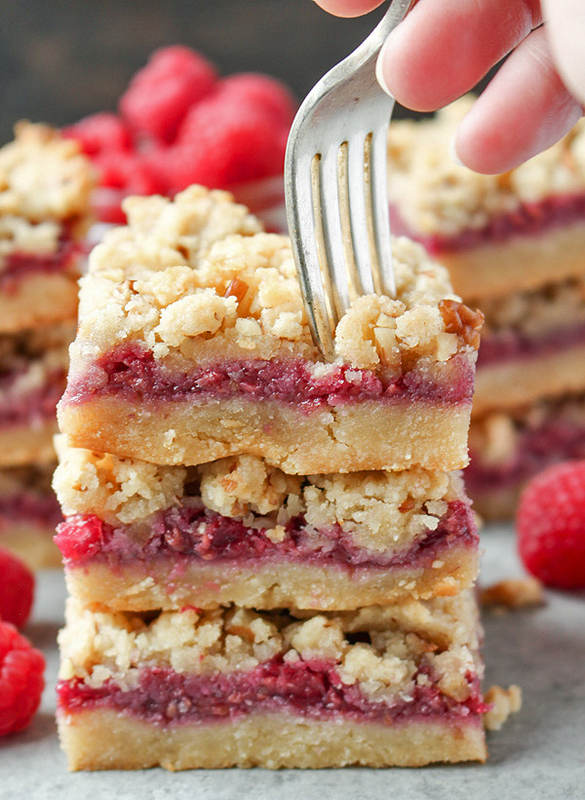 I think we can all agree that crumb topping makes everything better! 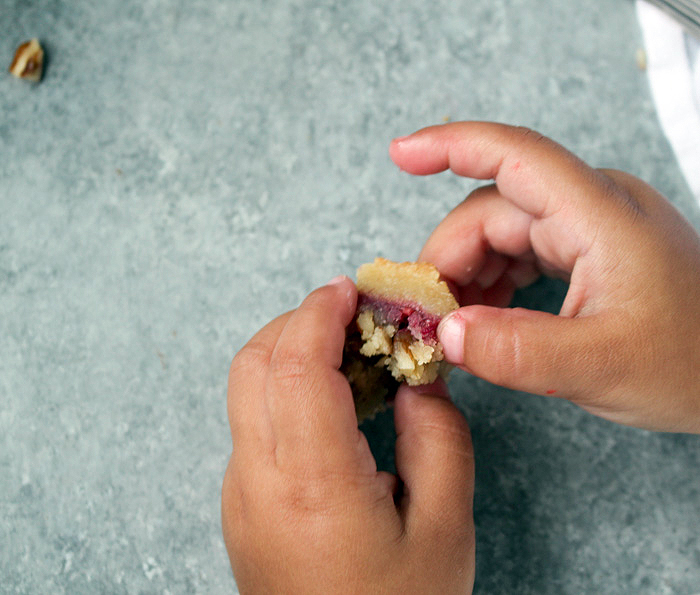 These bars are soft with just a slight crunch from the pecans. The triple layers all together taste so amazing! These bars are not overly sweet, but make such a nice treat. You can add more maple syrup to the raspberries if you want- I like my fruit on the tart side so I just added a little. If you don’t have raspberries you could also make this with blackberries or blueberries. I’m already dreaming up fall versions in my head! 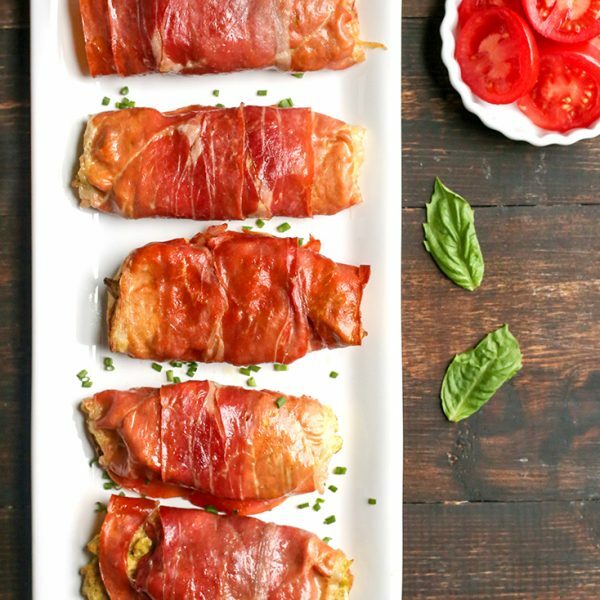 You of course can enjoy them right out of the oven, then any leftovers should be kept in the fridge. They are just as good cold and make the perfect snack or breakfast. 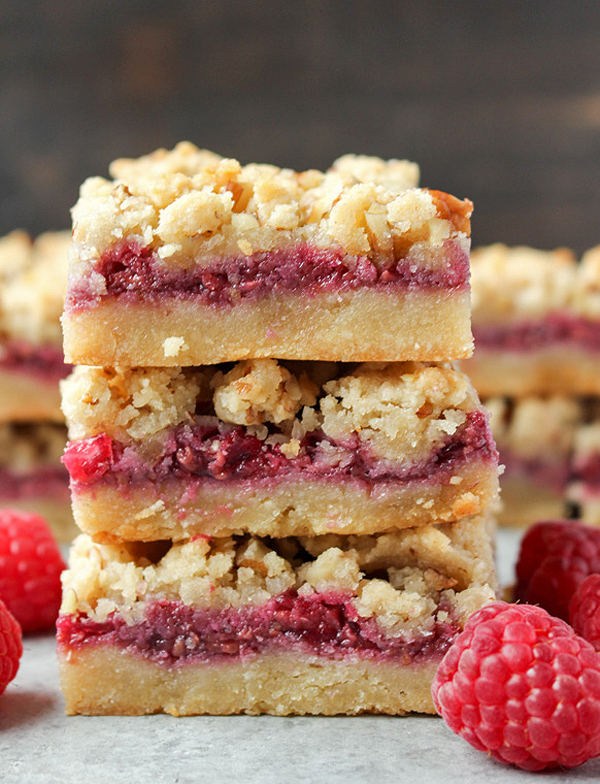 You will love these bars because they are simple and so delicious! 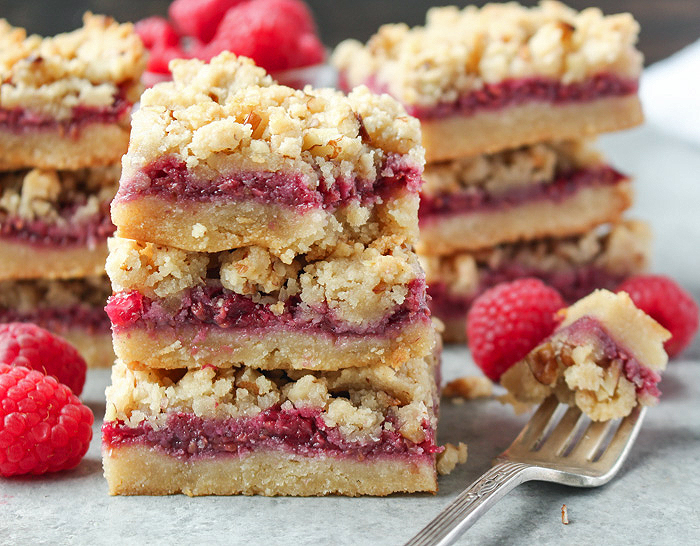 The freshness from the raspberries and the crumb topping will make them your new favorite! 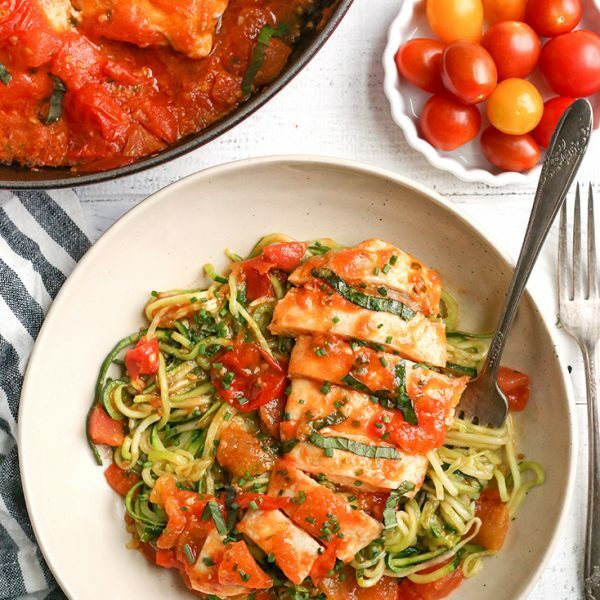 I am allergic to almonds, usually I substitute coconut flour but not sure that would work well for this recipe. What would you recommend? Hi Alison- that won’t work for this recipe. Well, the measurements would be much different and I can’t guarantee success. I think cassava flour would be a good substitute. It converts 1:1 and is easy to work with. Hope that helps- let me know if you have any more questions.